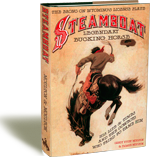 Here's a sampling of High Plains titles on Wyoming and the West: history, outlaws and lawmen, women, poetry, memoirs, and other perspectives of the West. For more information click on the image of the book. 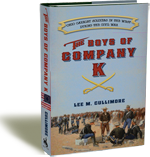 Follow the Boys of Company K to Wyoming during the Civil War. The inside story of the life of Butch Cassidy. Poems that will change the way the world looks at women in ranching. A side of the military you never read aboutп©©п▒√Б√⌠п©Б√▓п▒√Б∙░п▒Б√═Б■─п©Б√▓√п▒Б┬≥Б√▒the official U.S. Army Laundresses. Did Tom Horn commit the murder of 14-year-old Willie Nickell for which he was hanged? A road trip for a cause...on a donkey.